Solvent resistent mixingcups. Provided with a measurement up to 350ml and multiple scales of mixing ratios. 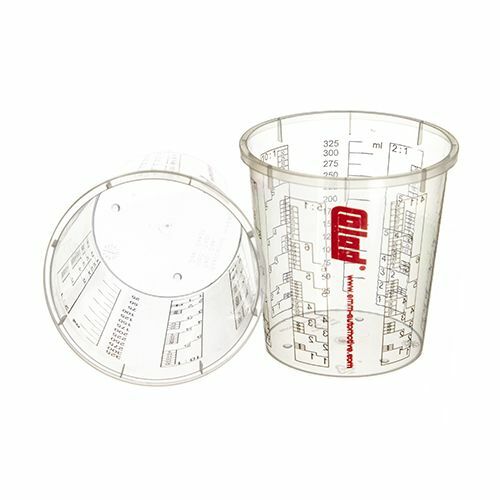 Sold per 10 cups without lids (lids are sold seperately). 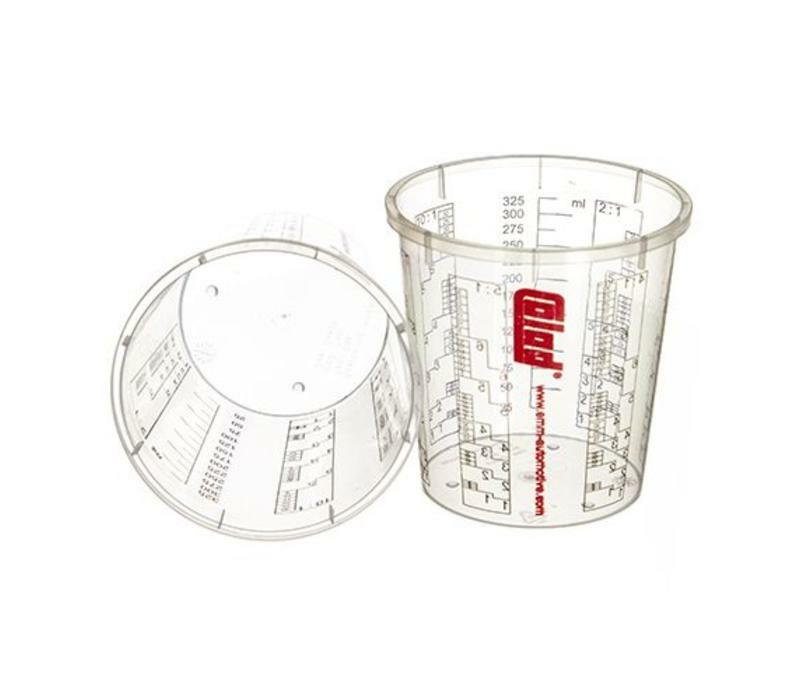 Available mixing ratios on the cup: 2:1, 3:1, 4:1, 5:1, 7:1, 10:1 most of which also have an ratio for thinning in percentage 5%, 10%, 15%, 20%, 25% and 30%.